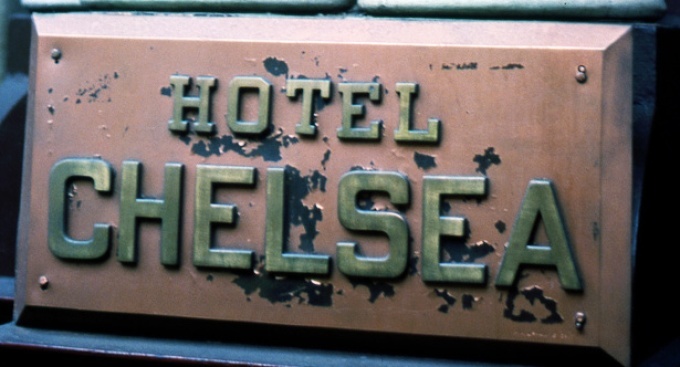 Can’t pay your Chelsea Hotel bill with cold hard cash? No problem: Some tenants are exchanging art for their space at the famed 23rd-street edifice. The Chelsea Hotel Accepting paintings to settle your account. Nadia Bertrand told Chelsea Now that she recently turned over two paintings to David Elder in exchange for a month long stay. “We'll take it as it goes in terms of if other people are interested," Elder told Chelsea Now. “If other people are interested?” Meaning, if they can convince other artist-tenants to part with their product in exchange for rent on 23rd Street? Yeah, we think maybe you won’t have so much trouble doing that. While we're hardly applauding the recession for reintroducing the swap system, we’re basking in the glow of the very idea that you can still barter art for anything on the island of Manhattan. Cockles, warmed!